Catch a bird by the string. Some of these cool flying creatures feature iconic imaging, while others will make spectators do a double take. 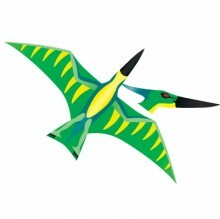 Each kite is easy to fly and hand-crafted with appliqué designs. IMPORTANT IN-STOCK NOTICE: If you are having trouble finding this kite to purchase, please visit FAB.COM for special price and availablility!